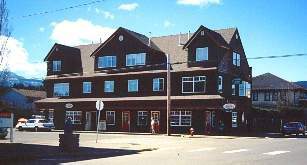 The Village of Cumberland, BC, in the foothills of Strathcona Park, draws visitors with its fascinating coal mining history, charming heritage buildings and stunning outdoor recreation opportunities. Visit the funky antique shops, parks and gardens or take a self-guided heritage walking tour of the Village. Guided tours of the surrounding trails and mine sites are also available through the Cumberland Recreation Institute. Boat on Comox Lake and explore the extensive hiking and mountain biking trails in the surrounding forests and hills. Don't miss Friday night auctions at Cumberland Auction Sales, the Taiwanese Lantern Festival in February, Cumberland's annual Empire Days on the Victoria Long Weekend or Miners Memorial Day that celebrates the rich working class roots of the Village. This former coal mining town of Cumberland, BC, during its hey day supported a population of approximately 10,000. Chinese, Japanese, blacks and British Welsh were brought in by founder, Robert Dunsmuir, the coal baron, to work the mines. Cumberland's past includes fires, mine explosions, strikes and violence. In the late 1920's mine production fell and finally in 1966 the last mine was closed. The big Victorian styled homes built at the turn of the century, are being restored. Several building in the downtown area, that house art galleries and craft shop, have been refurbished. February Taiwanese Lantern Festival, a collection of Taiwanese lanterns and nightly drumming performances. 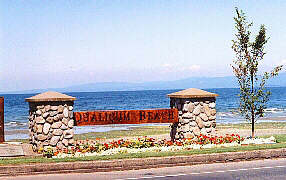 Qualicum Beach thrives as a tourist and retirement community. Facing the Strait of Georgia, its on Hwy 19 (the Island Highway) and is only 10km (6mi) north of Parksville. Fishing is good in this area, in fact, the name Qualicum means "where the dog salmon run". Golfing and just plain beach combing are also popular This pleasant village is close to the beach, and along the way there are quaint shops, galleries and restaurants. The logging town of Gold River, can be reached from the west side of the island by M.V. Uchuck that operates a freight and passenger service in Nootka Sound, by or traveling Hwy 28, southwest from Campbell River. This modern instant town was the first all-electric town in Canada, and the first to have all the wiring underground. Located in the Gold River valley, there is excellent fishing here. This forestry community at the head of Tahsis Inlet is 70km (43mi) northwest of Gold River on a gravel road. It started as a floating logging camping the 1940's, which later became a permanent on-shore camp. 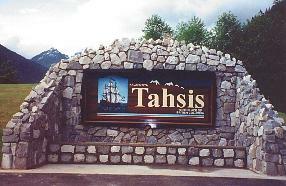 In the 1950's Tahsis expanded and a village took shape. Canoeing, kayaking, caving, fishing, and hiking are all very popular in this region.